いらっしゃいませ (Irasshaimase) -Welcome, please come in. 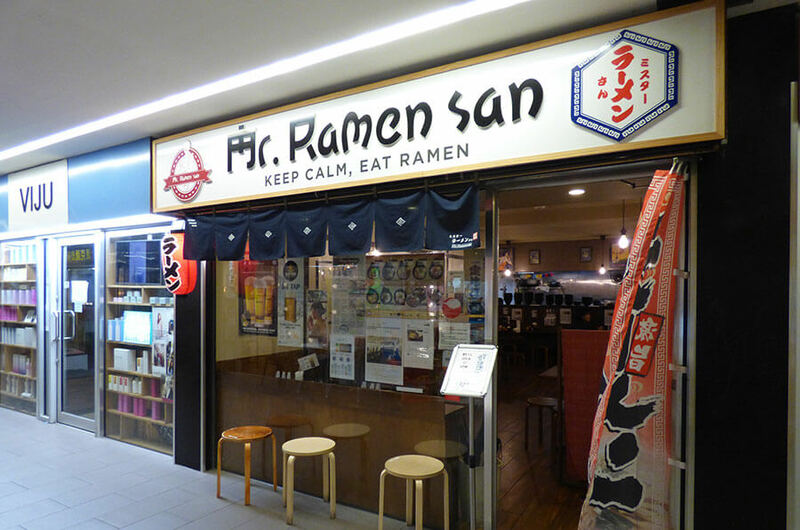 Mr. Ramen-san proudly serves Japanese ramen all the way from Hakata, Japan. This is the original ramen from Hakata. Located at Mid-city center, Melbourne, most busiest in the city, we try to maintain a friendly atmosphere where guests can feel comfortable dinning here. We do not cook our ramen like other ramen shops. Noodles are made daily in our shop. Our Kyushu Tonkotsu ramen has a cloudy white coloured broth. It has a thick broth made from boiling pork bones and collagen over high heat for many long hours, in which it fuses with a hearty pork flavour and a creamy consistency. Our charsu is stewed for many hours until they are almost melted in your mouth. Furthermore, our eggs are just cooked perfectly with yolk slight running in the middle. With our charsu and eggs, they are the prefect match along with daily made ramen noodle. They are the heavenly sent side-dish that you can dip it into the ramen soup or just enjoy it as it is. Our food is sourced from top quality ingredients, featuring a high percentage of local and organic products. Our menu, from time to time, will include special dishes offering a mix of new and signature dishes. We do have vegetarian menu for veg lovers! Come try our vegetarian charsu ramen.